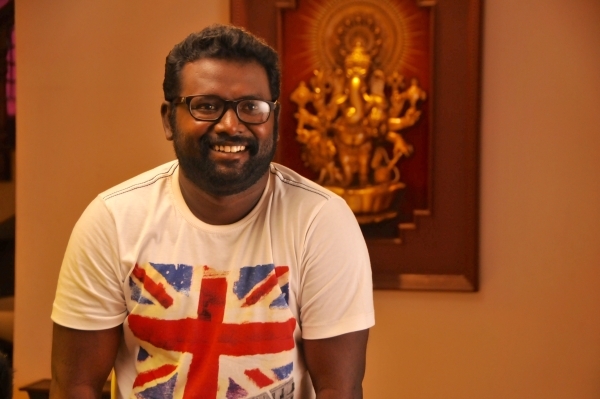 Arunraja Kamaraj (Tamil: அருண்ராஜா காமராஜ்) is a singer, lyricist, actor and director. He is known for his works as lyricist in films such as Theri, Pencil, Kabali and Jigarthanda. He also debuted as an actor in Raja Rani and appeared as Nerrupu kumar in the film Maan Karate. He has also written and sung the song Neruppu da in Rajinikanth's film Kabali. His other notable works includes movies such as Demonte Colony,Trisha Ilana Nayanthara, Pizza and Darling as Lyricist and Singer.